Provide comfort for the family of Lillie Woodbury with a meaningful gesture of sympathy. Lillie W. Woodbury, affectionately known as Lil was born on March 22, 1933 to Eleanor Pierce and was raised by Claude and Maude Watson of Halifax, NC. She departed this life peacefully in the presence of her loving family on March 13, 2019 at St. Agnes Hospital in Baltimore, Maryland. She gave her life to Christ at an early age and joined Smith Chapel Baptist Church in Halifax, NC where she sang on the choir and was active in the youth ministry. Lil graduated from Ralph J. Bunch High School in Weldon, NC. After high school, she moved to Richmond, VA where she resided for over 30 years. While in Richmond, she was employed at Richmond Memorial Hospital as a radiology technician. She moved to Clinton, MD and attended Mt. Ennon Baptist Church and was an active member of their senior’s ministry. Lil always loved working with people and had a passion for caring for others. She worked for the Board of Education and Southern Maryland Hospital until retirement. In 2008, Lil relocated to Aberdeen, MD and resided at the Catholic Charities Senior Building. She was drawn to Mt. Zion Baptist Church in Havre de Grace under the pastoral leadership of Reverend James C. Williams. 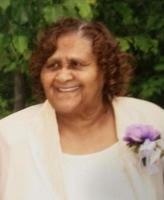 She enjoyed the senior’s ministry and attended church faithfully until her health made it difficult for her to attend. She then looked forward to Rev. Williams’ visits at the hospital and long-term care facility; where they laughed and prayed and he continuously uplifted her spirits. During her stay at Catholic Charities, Lil was actively involved in bible study conducted by the clergy of Mt Zion. She coordinated activities for the birthday club, and enjoyed playing bingo with her friends. She was proud of her independence; it wasn’t unusual to see her getting off the bus at Walmart, or shopping at Dress Barn for a pretty yellow dress. She was known for her love for ceramics. Each holiday, her family and friends were sure to receive a beautiful ceramic piece made with gifted hands. Lil was no amateur artist and was known for making ceramic lamps, Christmas trees, chess sets, book ends and African figures for her love ones. She also had an exquisite porcelain doll collection. Anyone who has ever visited her home has seen the room full of dolls dressed in beautiful garments with matching sashes. She was lovely referred to as “Mom” or “Grandma Lil” by most, but only her son Eric could call her “Red” and get away with it. She was very proud of her children and fond of her grandchildren and great-grandchildren; they could do no wrong. Lil assumed the role as adoptive mother and grandmother to many. The love she gave was unrestricted to all whom she encountered. She leaves to cherish her memories, seven beloved children; Brenda Watson of Halifax, NC; Shirley Kirkland (Charles) of Rocky Mount, NC; Tony Lyles of Baltimore, MD; Ronnie Watson (Marie) of Roanoke Rapids, NC; Evangelist Rosita Fenwick of Swan Point, MD; Eric Watson (Selena) of Aberdeen, MD; and Carmin Watson of Laurel, MD. Missing her warm hugs and kisses are her five grandchildren, Heidi Watson of Baltimore, MD; Telly Watson of Arlington, TX; Porsche Johnson of Alexandria, VA; Jamal Watson of Aberdeen, MD; and Kynise Peebles of Laurel, MD; and four great-grandchildren, Deidre Watson of Baltimore, MD; Antoinette Adams of Baltimore, MD; Kyle Williams of Inglewood, CA; and Joshua Hairston of Alexandria, VA. Also, two great-great-grandchildren, Andre Bass Jr. and Jaylen Bass of Baltimore, MD. She is survived by her beloved siblings, Helen Coffee of Franklin, TN; Pastor Catherine Clark of LaPlata, MD; Nora Terry and Cora Lee of Richmond, VA; Charles Terry (Rosa Lee) of Ahoskie, NC; Mason Terry of Richmond, VA; and Russell Terry (Dorothy) of Richmond, VA; and one sister-in-law, Garlintine Terry of Halifax, NC. She will be welcomed in heaven by her four siblings; Swain Terry; Mary Petronia Smith; Maggie Day; and Mary Ester Harris. Lil also leaves to cherish a host of great nieces, nephews, cousins and other relatives and friends. She will be remembered for her giving spirit and words of wisdom. Kind and loving are simple but impactful words that describe Lil’s character. She was thankful for her past, appreciative of her present, and hopeful for her future. This angel on Earth gained her heavenly wings and her loved ones gained their greatest angel. She will live in our thoughts, memories and hearts forever. 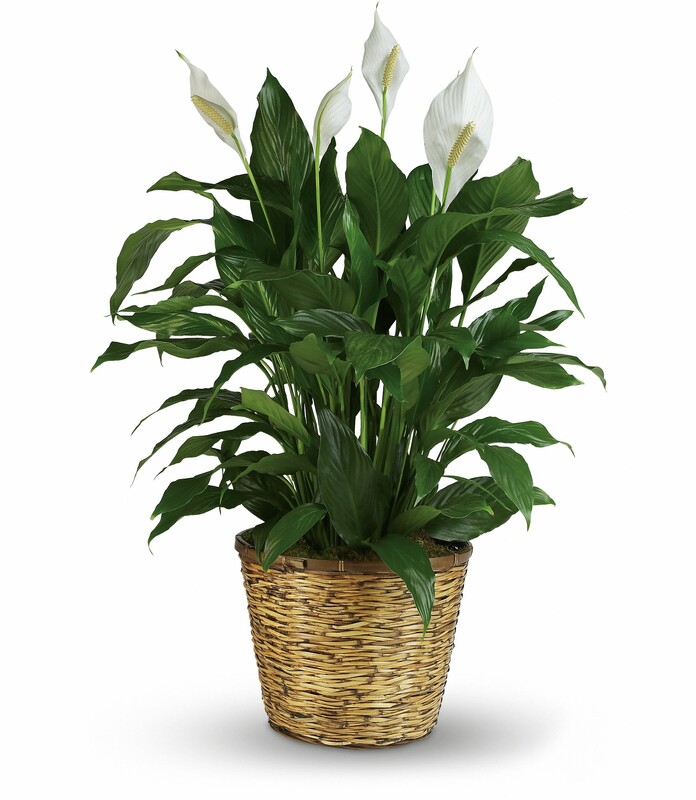 To send flowers in memory of Lillie Woodbury (Watson), please visit our Heartfelt Sympathies Store. 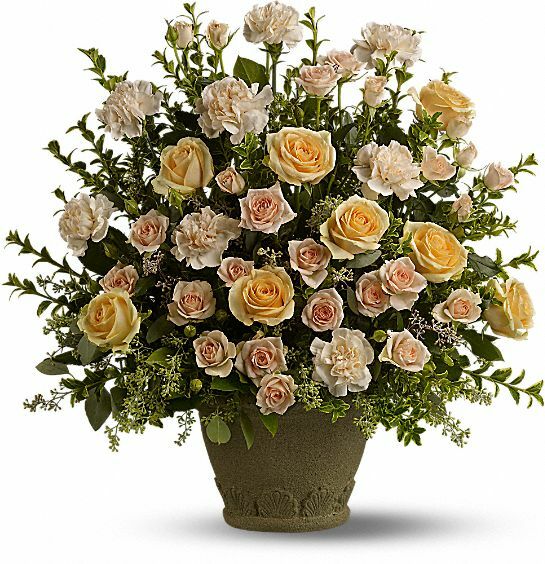 JW, Patrick, Jamar and Jason and Close Up Foundation Family have sent flowers to the family of Lillie Woodbury (Watson). JW, Patrick, Jamar and Jason purchased flowers for the family of Lillie Woodbury. Porsche & Joshua & Family: Wishing you peace to bring comfort, courage to face the days ahead and loving memories to forever hold in your hearts. Close Up Foundation Family purchased flowers for the family of Lillie Woodbury.